Professor Leszek Kolakowski started writing about Marxism while he live in Poland. He became disillusioned with Communism after the Polish uprising in 1956. He stayed in Poland until the Spring of 1968, when he lost his position at Warsaw University for supporting the student uprising. 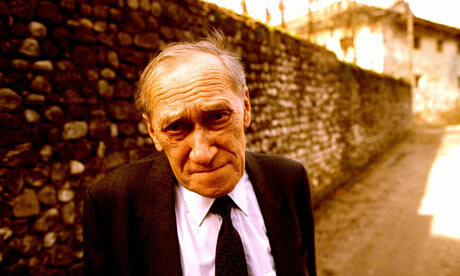 Kolakowski argues that God is not, and cannot be, an empirical hypothesis. Faith is a function of an attitude. Anyone who sees signs of God’s presence in life admits that faith precedes his acts of reading these signs, not the other way around. Thus, the old wisdom is confirmed that neither learning nor scientific sophistication makes anybody’s Christian faith better. The strength of Christianity does not rest on its prophecies and miracles but on the way of the cross. Kolakowski seems to be convinced that the experience of daily life allows people with faith, strong beliefs, and a purposeful order to see ultimate meaning in everything. The importance and value of such an attitude is that one is better prepared to sustain the inevitable blows of destiny and not to succumb to despair. He fully endorses that faith is to be lived and practiced, not just a weekly display for our neighbors. Here is a man who has seen society from many angles and through his own intellect has determine the preferred part. Here is a link to the full article. Read More. From the Spiritist Knowledge blog – A statistical approach for the determination of the time interval between succesive reincarnations.